LKSR 2019 Partnership Opportunities are here! It’s here! Check out our 2019 Partnership Opportunities and plant your flag today! Questions? Contact Bianca Mauro at lowellkinetic@gmail.com or call 617 – 872 – 6449. Join our team, be a part of the race! As we enter into our 4th event year of LKSR we would like to increase the amount of community members on our planning committee. If you love the race and its mission to inspire the engineers, artists, and visionaries of the future, we’d love to have you join our team! We are actively seeking people who would like to lend their ideas and creativity to the following departments, but we are also interested in hearing what you would like to bring to the table. Full descriptions of each department can be found in the link. This year’s race will be held on Saturday, September 22, 2018. The Gallery Event will give insights into its: machines, people, and purpose. On the morning of September 22, teams will line up on one side of Market Street for spectators, officials and the random bystander to get a close look at the marvelous engineering prowess of the sculptures about to race. The start will be a Lemans style start (pilots will be across the street from their sculptures wait for the sound of the start then run to their sculptures, get in and start pedaling) and will make its way through the city to the mud pit then will continue on to the Lowell Heritage State Park and Beach to plunge into the waters of the Merrimack River. Once out of the water they will race back to the finish line on Market Street. Kinetic Sculpture Race is an organization whose mission is to host and produce an annual kinetic sculpture race within the city of Lowell, Massachusetts. 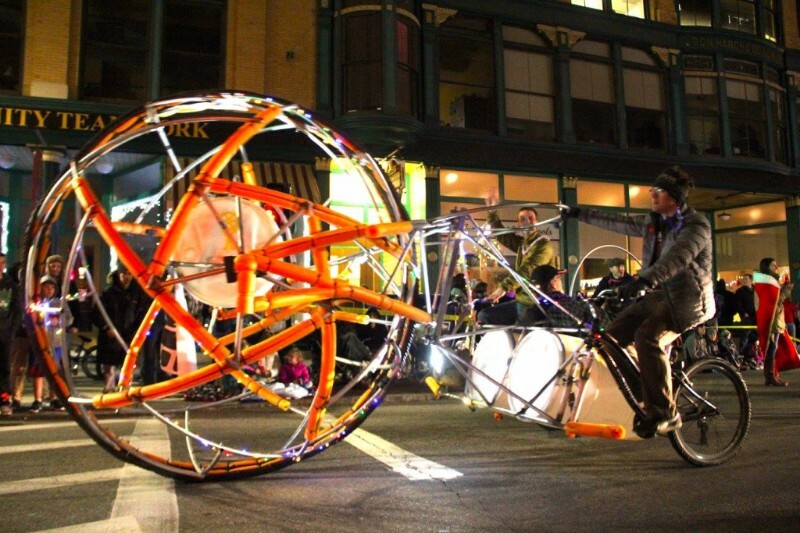 Kinetic sculptures are all-terrain, human-powered, art sculptures made from repurposed materials and engineered to race over road, water, mud and sand. Lily Black to play LKSR Afterparty! Lily Black, Boston’s premier punk/pop indie dance band, is playing The Official Kinetic Race Afterparty/Awards & Gallery of Machines @ COBBLESTONES of Lowell! COBBLESTONES is where the Afterparty is at!!! LKSR2018 doesn’t end at the finish line! Immediately following the dramatic finish, ALL of the Kinetic Sculptures will travel directly to COBBLESTONES of Lowell where we will be hosting the Official LKSR Afterparty, Award Ceremony, and the NEW Gallery of the Machines! Grab an outdoor bite and a beverage from Wachusett Brewing Company while you mingle with the machines and teams, or step inside for COBBLESTONES’ full menu of incredible hand cut steaks, burgers, local seafood and dozens of locally crafted beers. We have almost met our goal to be able to keep the LKSR free for all but we still need a bit more. So we are having our annual Silent Auction Fundraiser at UnchARTed this coming Saturday, June 30th, 4-8pm. There are some great items on the block including the opportunity to be a pilot on ‘Lobster Roll’ at this year’s race. Lobster Roll is the sculpture created and used by LKSR veterans (Jay Hungate, Nick Anastasia, Jay Diengott, Carl Henderson and Michael Roundy) to participate in the 50th Kinetic Grand Championship, the original race! Other items include gift baskets, artwork, and a whole lot more. Come on down to help support our craziness. LKSR Newsletter: See What You Made Possible! Race day video, the Rogers STEM Academy, City of Lights Parade shenanigans, and more! On September 23rd, 2017, Lowell experienced the 2nd annual Lowell Kinetic Sculpture Race. 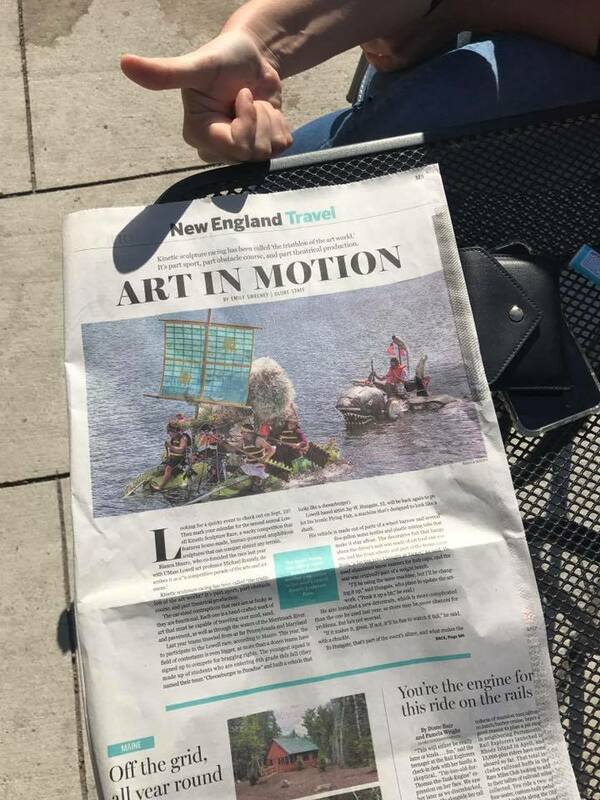 It was a glorious day filled with 14 crazy sculptures traversing the city’s streets, battling a mud pit, and navigating the Merrimack River while spreading smiles through-out. An estimated 5000 people enjoyed this free, family-friendly event that included the wild race, along with games for kids and families, live bands, food trucks, and a fantastic opening ceremony, all held at three different locations throughout the city. This STEAM-(Science, Technology, Engineering, Art and Mathematics)-oriented event also provided both kids and adults the opportunity to see these amazingly engineered sculptures overcome several challenges within the race through design, perseverance, collaboration, and teamwork. See the LKSR 2017 Photo Gallery! On December 13th, LKSR will present our first donation to the Rogers STEM Academy. They are the masterminds behind the Cheeseburger in Paradise. This kinetic sculpture was created during an IDEA Camp in the summer months by 8 students who entered the 6th grade this fall. The team took home the highly-coveted “Golden Dinosaur Award” and had a fun and educational day! 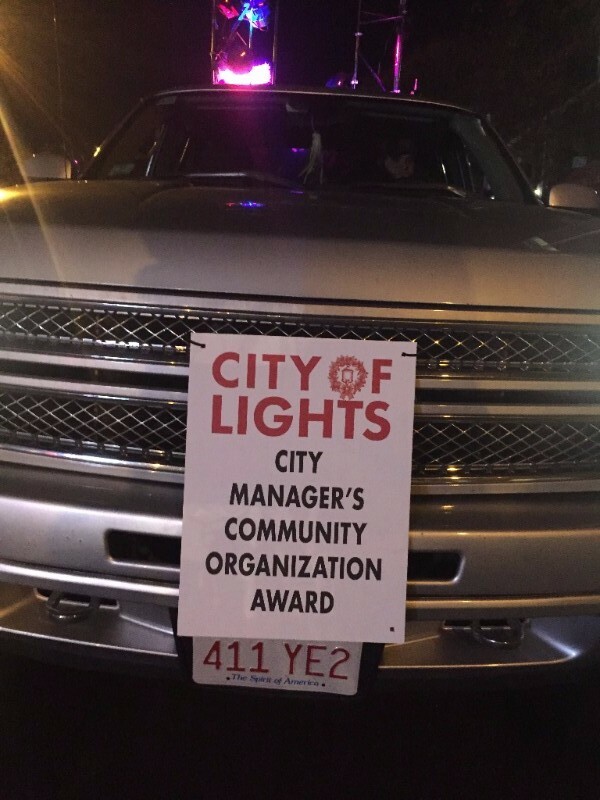 Team LKSR resurrected and revamped several of this year’s machines for our second year in Lowell City of Lights parade. Couldn’t make it to the parade? Here are a few shots! 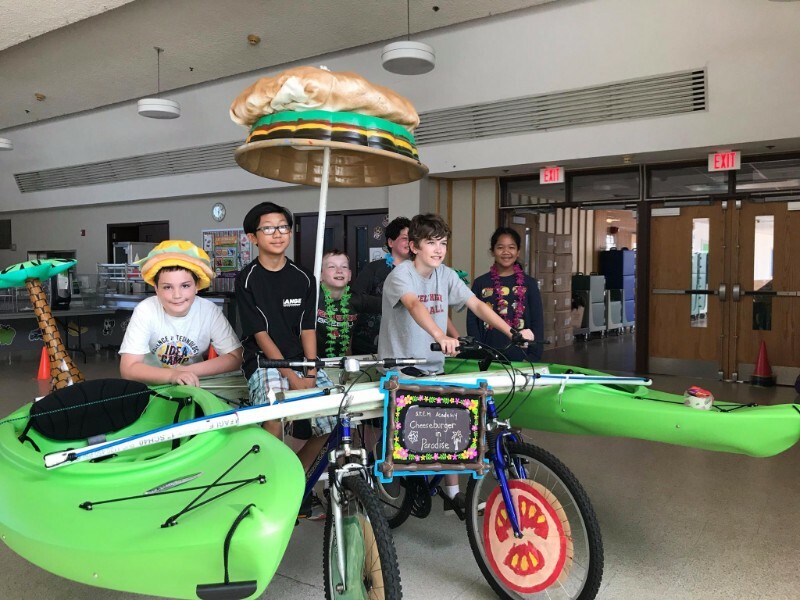 The 2018 Lowell Kinetic Sculpture Race will be held on Saturday, September 22nd, and there are many ways to get involved! Interested in joining a team or building a machine? Interested in volunteering for LKSR 2018? Interested in partnering with LKSR 2018? Download the LKSR2018 Partner Packet or fill out the Partnership Form to connect with us. The 2018 Lowell Kinetic Sculpture Race will be held on Saturday, September 22nd. We are seeking partners to help make this community event an annual success. 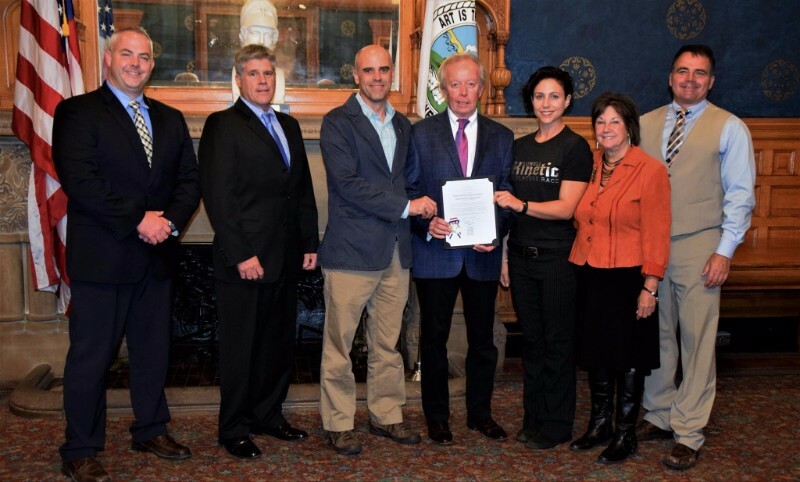 Our partnership package has many opportunities to promote your business or organization, from partnering on specific items to having an award named after your business or your business’s location printed on our maps. We will also be high-lighting partners on our website, social media, in advertising through local and regional newspapers, in email blasts to spectators and racers as well as promotional materials that will blanket the New England area. Though the partnership package offers a variety of opportunities and benefits, we can also tailor a package to better fit your budget. If you have any questions, please call Bianca Mauro at (617) 872-6449. 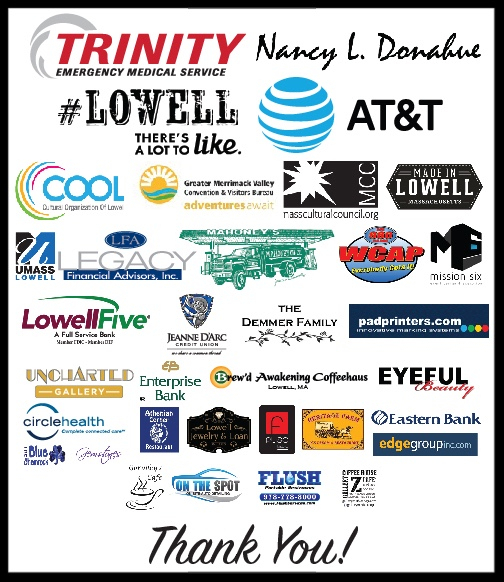 You can send your partnership commitment form and check to the Lowell Kinetic Sculpture Race, Greater Merrimack Valley Convention and Visitors Bureau, 61 Market Street, Unit 1C, Lowell, Massachusetts 01852, or fax the reponse form to (978) 459-4595. Partnership commitments should be returned by June 30, 2018. As the original founder Hobart Brown stated, we are showing, ‘Adults having fun so that kids will want to grow older’. Help us continue show New England. created during an IDEA Camp by the STEM Academy at the Rogers School in Lowell, MA! from somewhere in the woods of New Hampshire! from UnchARTed Gallery & Studios in Lowell, MA! by team Action Nerds of Dracut, MA! piloted by The Skeleton Crew, hailing from Lowell, MA! and two alumnus of the Engineering Department at UML. piloted by the Boys and Girls Club of Greater Lowell! of the Jemicy School in Owings Mills, Maryland (just outside of Baltimore)! by Jay Hungate of Western Ave Studios in Lowell! Check out LKSR2017 Finish (and Course Shots) Photos here! 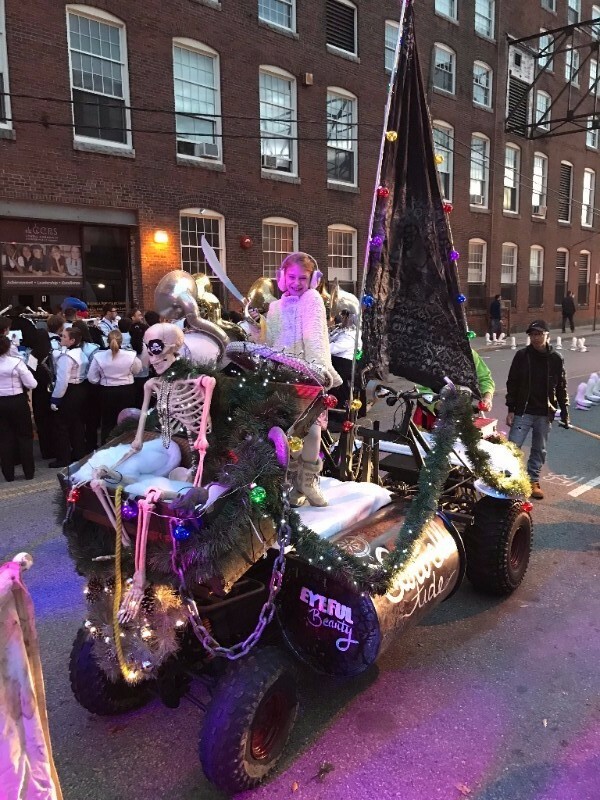 The kings and queen of the 2017 Lowell Kinetic Sculpture Race consider how they will vote. I have TONS more shots from this wonderful event coming very soon! Check out LKSR2017 Water Obstacle Photos here! Check out LKSR2017 Mud Obstacle Photos here!